Despite the Equal Pay Act being introduced 47 years ago, the gender pay gap remains one of the biggest issues facing British workers. The World Economic Forum recently estimated it’ll even be 118 years before women around the world can expect equal pay. 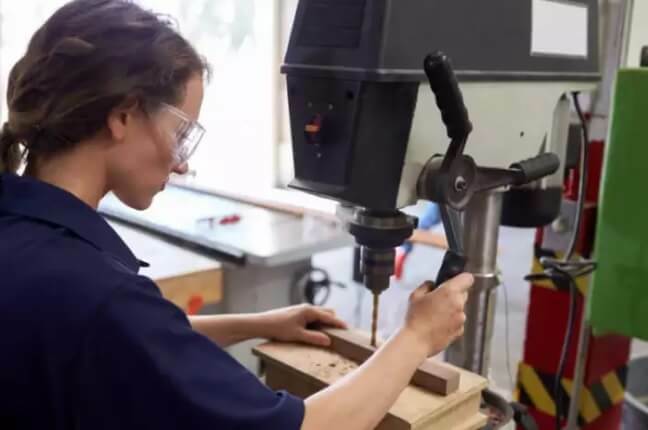 In fact it’s so bad in some British industries that women work two hours for free every day according to the Chartered Management Institute (CMI), but what’s causing it? “The gender pay gap has multiple causes,” says Sam Smethers, Chief Executive, Fawcett Society, the UK’s leading charity campaigning for gender equality and women’s rights. “These include the motherhood gap – where women take time out of the labour market due to unequal sharing of care in the home leading to a gender pay gap of 33 per cent twelve years after the birth of a first child; our divided labour market where the trend is for women to be segregated into lower paying jobs with less progress; men at the top of the pay scale in the most powerful positions; and outright discrimination,” Sam explains. It’s an issue that affects many industries though. “Across all industries, managers and directors have a pay gap of 20 per cent – but skilled tradespeople like electricians and plumbers have the highest pay gap of 21 per cent,” says Sam. Evidence has also revealed the higher a woman goes up the pay scale the wider the pay gap gets too. According to the Fawcett Society the gender pay gap for all women in full-time work is 13.9 per cent – and that’s the gap in hourly pay, not the difference in earnings. Including part-time workers the gender pay gap increases to 18.1 per cent, as the majority of low-paid work is done by women for low hourly pay. So what should you do if you suspect you’re being discriminated against? “Joining a trade union and asking for their advice is an effective way of preparing either to negotiate with your employer, or take them to employment tribunal,” advises Sam. It’s not always easy to know if your salary is being savaged by sexism though. The Government is aiming to close the gap within a generation and new regulations set to come into force in April means large companies will report on their gender pay gap.